Equipment used to sterilize and pasteurize are built with components that must meet specific, demanding requirements. For reliable performance, flexibility and endurance, manufacturers require valves which can deliver a high cycle life with minimal space requirements. To meet these stringent requirements, leading manufacturers rely on Assured Automation’s compact automated valves, stainless steel ball valves and high performance butterfly valves. Common solenoid valves, ball valves and resilient seat butterfly valves cannot meet the high cycle demand of sterilizers, autoclaves and pasteurizers. 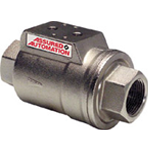 Assured Automation offers the angle seat valve, VAX coaxial valve , compact automated VA Valves and 36 Series stainless steel ball valves for smaller lines sizes offering high cycle-life, durability, reliability, and compact assembly. 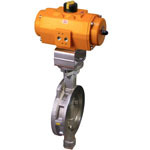 High performance butterfly valves are preferred for line sizes 3” and larger. 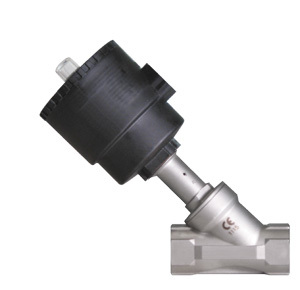 The VA Series combines a pneumatic actuator and fast on-off control valve into one body, eliminating packing glands, actuators and mounting kits. There are no exposed moving parts, eliminating pinch points and increasing operator safety. 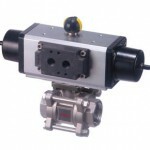 Since the actuator is part of the valve, costs are greatly reduced when compared to standard actuated valves. Operating life has been tested to well over 1,000,000 cycles, the balanced design reduces friction and wear. 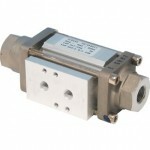 The 36 is a full port, 316 stainless steel, 3 piece ball valve. It is available with threaded ends (36N), socket weld ends (36S), quick clamp ends (36C) or quick clamp ends with cavity filler seats (36CCF*). It can be equipped with a manual handle or with pneumatic or electric actuators. The HPW/HPL is a high performance soft seated, metal seated, fire safe butterfly valve. Body material is either Carbon steel or 316 Stainless Steel. Connections are wafer style (HPW) or lug style (HPL) and are either 150 or 300 lb. ANSI rated. Equipped with a manual handle or with pneumatic or electric actuators. Excellent for steam applications. In addition to our standard products, Assured Automation offers special order and custom assemblies for unique applications. Our experience in project and special valve automation spas over 25 years. This entry was posted in Latest News and tagged 36 Series, Angle Valves, Ares & Zeus Series, assured automation, autoclave valves, Compact Automated Valves, High Performance Butterfly Valves, pasteurizer valves, Stainless Steel Ball Valves, sterilizer valves, VA Series, VAX Series. Bookmark the permalink.